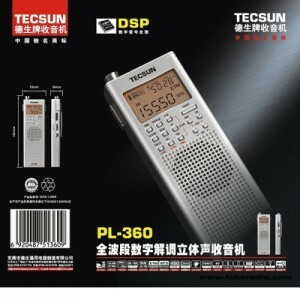 The Tecsun PL-360 is a DSP based portable shortwave receiver with AM(MW)/FM/LW and SW coverage. This entry was posted in Portables, Tecsun and tagged PL-360, Si4734, SiLabs Si4734, Silicon Labs Si4734, Tecsun, Tecsun PL-360, Tecsun PL-360 Reviews, Ultralight. Bookmark the permalink.